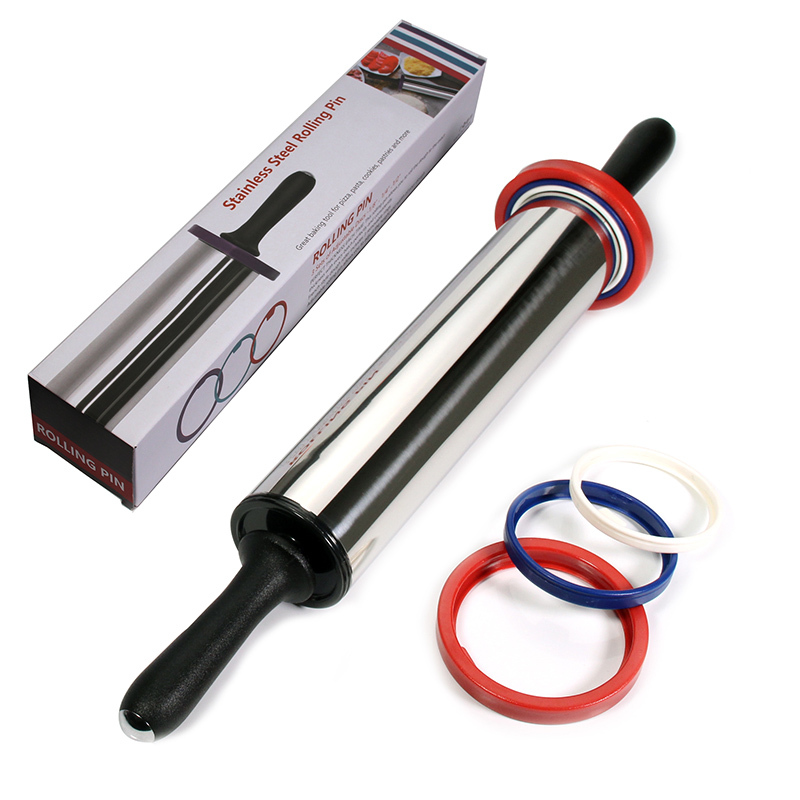 The Multi-Color Adjustable Rolling Pin Plus will take the guess work out of preparing pizza and pie bases, lasagna sheets and filo pastry. 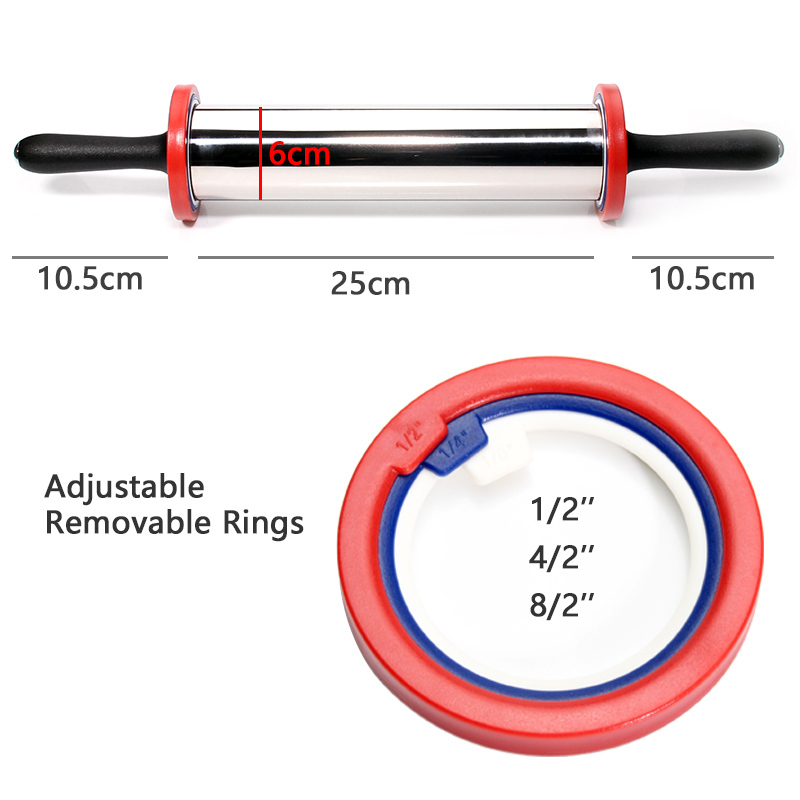 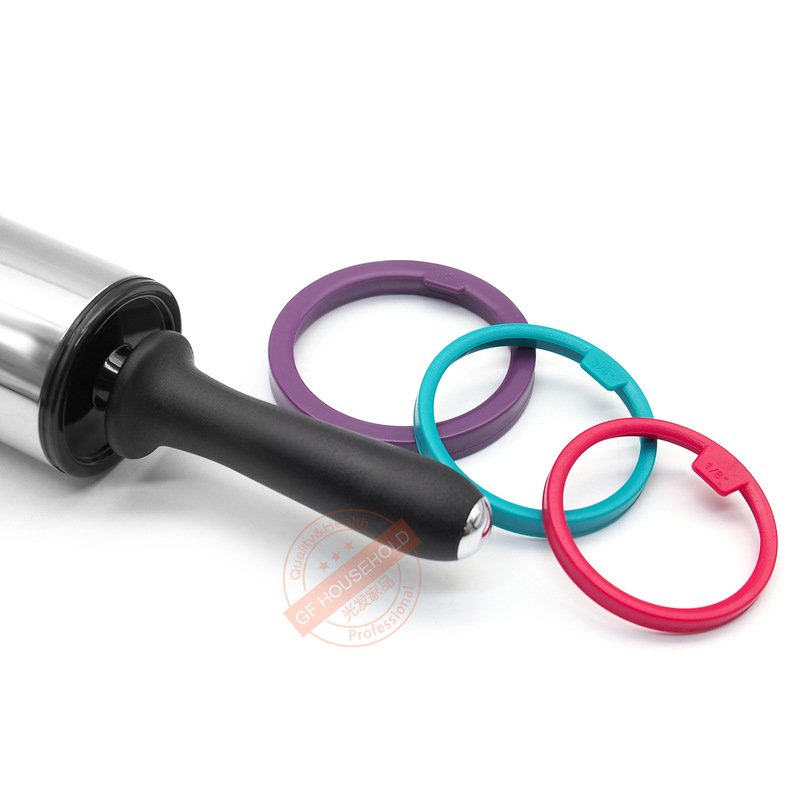 The rolling pin has 3 sets of colorful, removable discs which raise the rolling pin to the required thickness of 1/2-inch, 1/4-inch, and 1/8-inch off the work surface. 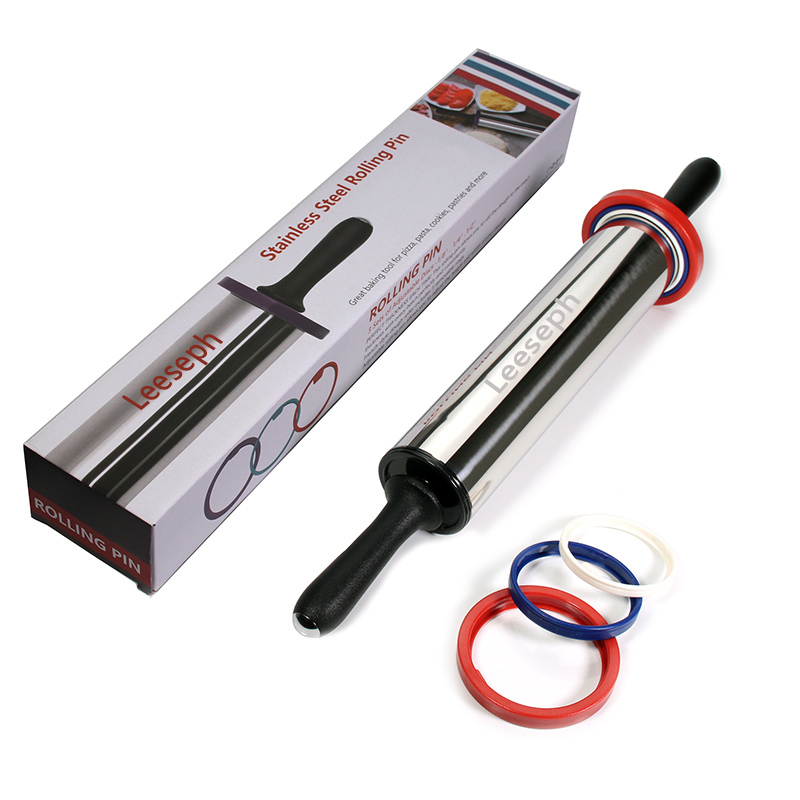 This clever devise will ensure that the pastry or dough is rolled to an even thickness throughout.